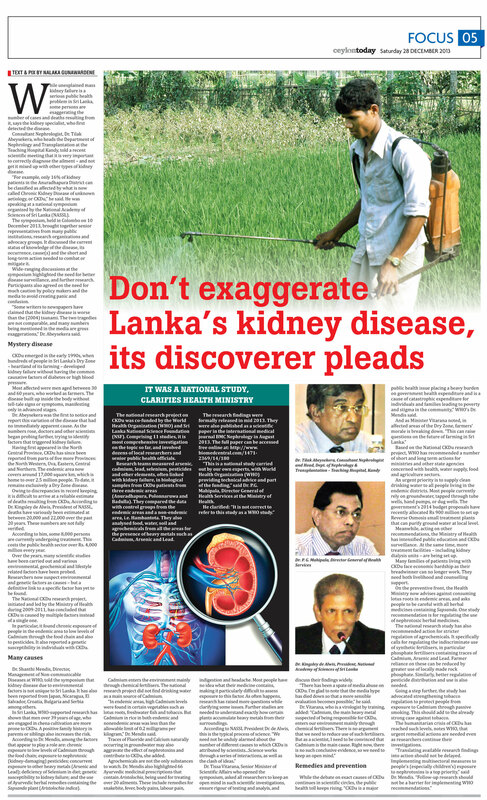 While unexplained mass kidney failure is a serious public health problem in Sri Lanka, some persons are exaggerating the number of cases and deaths resulting from it, says the kidney specialist who first detected the disease. Consultant Nephrologist Dr Tilak Abeysekera, who heads the Department of Nephrology and Transplantation at the Teaching Hospital Kandy, told a recent scientific meeting that it is very important to correctly diagnose the ailment – and not get it mixed up with other types of kidney disease. 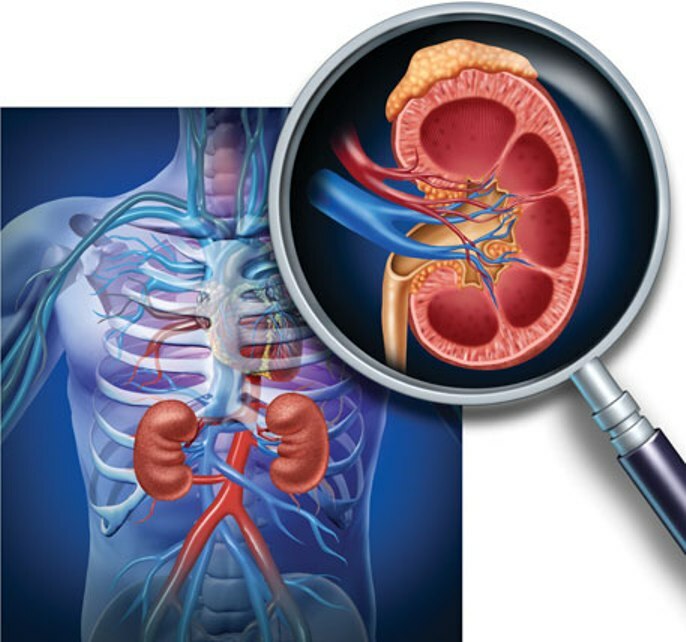 “For example, only 16% of kidney patients in the Anuradhapura district can be classified as affected by what is now called Chronic Kidney Disease of unknown aetiology, or CKDu,” he said. He was speaking at a national symposium organised by the National Academy of Sciences of Sri Lanka (NASSL). The symposium, held in Colombo on 10 December 2013, brought together senior representatives from many public institutions, research organisations and advocacy groups. It discussed the current status of knowledge of the disease, its occurrence, cause(s) and the short and long-term action needed to combat or mitigate it. Wide-ranging discussions at the symposium highlighted the need for better disease surveillance, and further research. 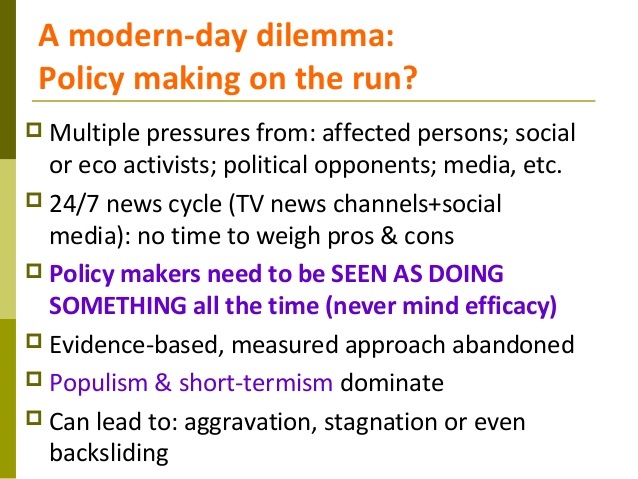 Participants also agreed on the need for much caution by policy makers and the media to avoid creating panic and confusion. “Some writers to newspapers have claimed that the kidney disease is worse than the (2004) tsunami. The two tragedies are not comparable, and many numbers being mentioned in the media are gross exaggerations,” Dr Abeysekera said. 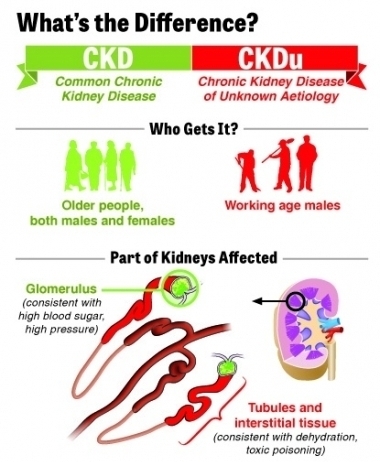 CKDu emerged in the early 1990s, when hundreds of people in Sri Lanka’s Dry Zone – heartland of its farming — developed kidney failure without having the common causative factors of diabetes or high blood pressure. Dr Abeysekera was the first to notice and report this variation of the disease that had no immediately apparent cause. As the numbers rose, doctors and other scientists began probing further, trying to identify factors that triggered kidney failure. Having first appeared in the North Central Province, CKDu has since been reported from parts of five more provinces: the North Western, Uva, Eastern, Central and Northern. The endemic area now covers around 17,000 square km, which is home to over 2.5 million people. To date, it remains exclusively a Dry Zone disease. Owing to discrepancies in record keeping, it is difficult to arrive at a reliable estimate of deaths resulting from CKDu, According to Dr. Kingsley de Alwis, President of NASSL, deaths have variously been estimated at between 20,000 and 22,000 over the past 20 years. These numbers are not fully verified. According to him, some 8,000 persons are currently undergoing treatment. This costs the public health sector over Rs. 4,000 million every year. Over the years, many scientific studies have been carried out and various environmental, geochemical and lifestyle related factors have been probed. Researchers now suspect environmental and genetic factors as causes – but a definitive link to a specific factor has yet to be found. 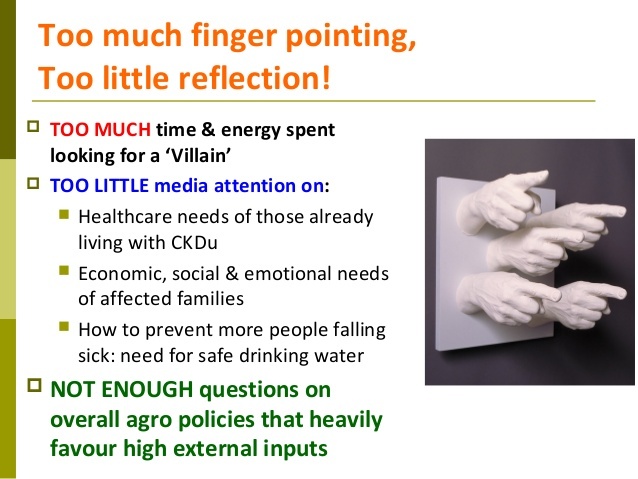 The National CKDu research project, initiated and led by the Ministry of Health during 2009-2011, has concluded that CKDu is caused by multiple factors instead of a single one (see also box below). In particular, it found chronic exposure of people in the endemic area to low levels of Cadmium through the food chain and also to pesticides. It also reported a genetic susceptibility in individuals with CKDu. Dr Shanthi Mendis, Director, Management of Non-communicable Diseases at WHO, told the symposium that kidney disease due to environmental factors is not unique to Sri Lanka. It has also been reported from Japan, Nicaragua, El Salvador, Croatia, Bulgaria and Serbia among others. In Sri Lanka, WHO-supported research has shown that men over 39 years of age who are engaged in chena cultivation are more prone to CKDu. A positive family history in parents or siblings also increases the risk. According to Dr Mendis, among the factors that appear to play a role are: chronic exposure to low levels of Cadmium through the food chain; exposure to nephrotoxic (kidney-damaging) pesticides; concurrent exposure to other heavy metals (Arsenic and Lead); deficiency of Selenium in diet; genetic susceptibility to kidney failure; and the use of Ayurvedic herbal remedies containing the Sapsanda plant (Aristolochia indica). Cadmium enters the environment mainly through chemical fertilisers. The national research project did not find drinking water as a main source of Cadmium. “In endemic areas, high Cadmium levels were found in certain vegetables such as lotus roots, freshwater fish and tobacco. But Cadmium in rice in both endemic and nonendemic areas was less than the allowable limit of 0.2 milligrams per kilogram,” Dr Mendis said. Traces of Fluoride and Calcium naturally occurring in groundwater may also aggravate the effect of nephrotoxins and contribute to CKDu, she added. Agrochemicals are not the only substances to watch. Dr Mendis also highlighted 66 Ayurvedic medicinal prescriptions that contain Aristolochia, being used for treating over 20 ailments. These include remedies for snakebite, fever, body pains, labour pain, indigestion and headache. Most people have no idea what their medicine contains, making it particularly difficult to assess exposure to this factor. As often happens, research has raised more questions while clarifying some issues. Further studies are needed to understand exactly how certain plants accumulate heavy metals from their surroundings. Dr Tissa Vitarana, Senior Minister of Scientific Affairs who opened the symposium, asked all researchers to keep an open mind in such scientific investigations, ensure rigour of testing and analyis, and discuss their findings widely. 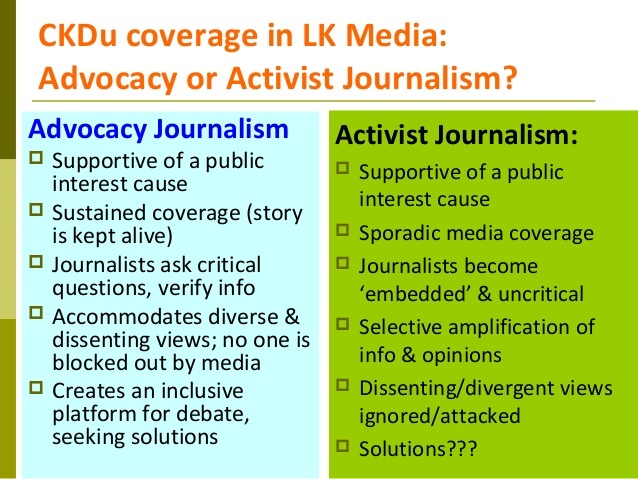 “There has been a spate of media abuse on CKDu. I’m glad to note that the media hype has died down so that a more sensible evaluation becomes possible,” he said. While the debate on exact causes of CKDu continues in scientific circles, the public health toll keeps rising. “CKDu is a major public health issue placing a heavy burden on Government health expenditure and is a cause of catastrophic expenditure for individuals and families leading to poverty and stigma in the community,” WHO’s Dr Mendis said. Based on the National CKDu research project, WHO has recommended a number of short and long term actions for ministries and other state agencies concerned with health, water supply, food and agriculture sectors. An urgent priority is to supply clean drinking water to all people living in the endemic districts. Most people currently rely on groundwater, tapped through tube wells, hand pumps, or dug wells. The government’s 2014 budget proposals have recently allocated Rs 900 million to set up Reverse Osmosis small treatment plants that can purify ground water at local level. Meanwhile, acting on other recommendations, the Ministry of Health has intensified public education and CKDu surveillance. At the same time, more treatment facilities – including kidney dialysis units – are being set up. Many families of patients living with CKDu face economic hardship as their breadwinner can no longer work. They need both livelihood and counselling support. On the preventive front, the Health Ministry now advises against consuming lotus roots in endemic areas, and asks people to be careful with all herbal medicines containing Sapsanda. 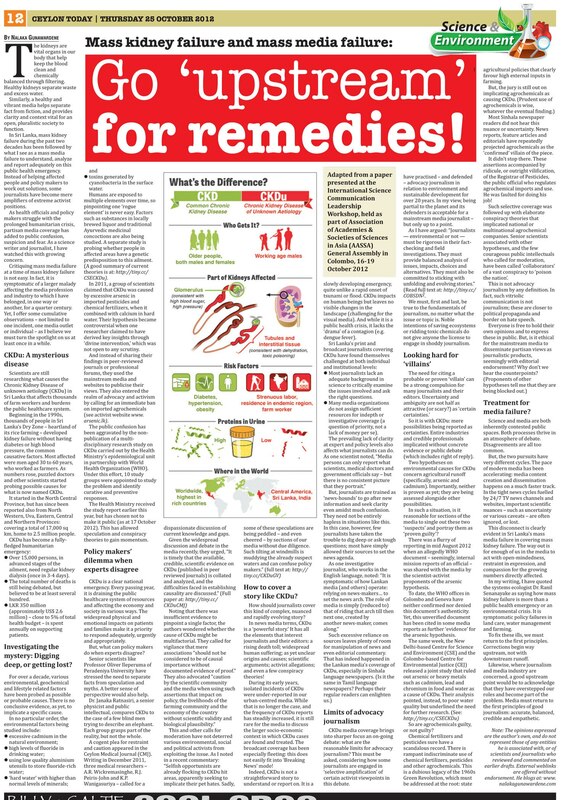 One study recommendation is for regulating the use of nephrotoxic herbal medicines. The national research study has also recommended action for stricter regulation of agrochemicals. It specifically calls for regulating the indiscriminate use of synthetic fertilisers, in particular phosphate fertilisers containing traces of Cadmium, Arsenic and Lead. Farmer reliance on these can be reduced by greater use of locally made rock phosphate. Similarly, better regulation of pesticide distribution and use is also needed. Going a step further, the study has advocated strengthening tobacco regulation to protect people from exposure to Cadmium through passive smoking. This should add to the already strong case against tobacco. The humanitarian crisis of CKDu has reached such levels, notes WHO, that urgent remedial actions are needed even as researchers continue their investigations. The national research project on CKDu was co-funded by the World Health Organization (WHO) and Sri Lanka National Science Foundation (NSF). Comprising 11 studies, it is most comprehensive investigation on the topic so far, and involved dozens of local researchers and senior public health officials. Research teams measured arsenic, cadmium, lead, selenium, pesticides and other elements, often linked with kidney failure, in biological samples from CKDu patients from three endemic areas (Anuradhapura, Polonnaruwa and Badulla). They compared the data with control groups from the endemic areas and a non-endemic area, i.e. Hambantota. They also analysed food, water, soil and agrochemicals from all the areas for the presence of heavy metals such as Cadmium, Arsenic and Lead. “This is a national study carried out by our own experts, with World Health Organization (WHO) providing technical advice and part of the funding,” said Dr P.G. Mahipala, Director General of Health Services at the Ministry of Health.